Celebrating prom night is one of the highlights of a teenager’s life. Months in advance, many young women are already on the hunt for the perfect outfit, hairstyle, makeup and shoes. Young men are also on the lookout for that perfect outfit, shoes and hairstyle. Not to mention that little detail to make them stand out from others on the dance floor. We know the importance of crafting the perfect evening on this special night, and arranging your prom car rental soon should be near the top of your to-do list. Tip: If you are searching for a prom car rental the best advice is to contact us early on. Prom season can be very busy and there are only so many Lamborghinis and Ferraris available in L.A. Book early, and take one thing off your list for prom season. If you prefer to travel with a group of friends, an exotic two-seater sports car isn’t for you. Renting a luxury car like a Bentley or Rolls Royce will leave room for you, your date and your friends. Split the cost and have more fun for the money when you travel to prom in a fourseater car. There’s nothing like a selfie with friends inside a cool car to kick off the night ahead. If you want serious cool, a Hummer or Mercedes Benz G63 SUV is a perfect match to the teen with an ultra confident attitude. Shy personalities need not apply! When you show up in a vehicle like this, people will be forced to pay attention (homage, really) to the king and queen of bling, stepping out onto the red carpet. How about a classic American muscle car to bring you to prom? While everyone else is in their European luxury vehicles and exotic sports cars, nothing says ‘originality’ like a vintage classic car for the daring or hipster prom goer. Go against the flow and prove that following trends are for the masses, and only the truly original know how to make the classics look good in a modern setting. For every personality there’s a luxury car to suit your style. Go for classic elegance in a Rolls Royce, or rugged, posh luxury in an SUV. There’s no limit to the car and make to complement you and your party’s look for the evening. Stand out in your pictures with a sleekly impressive vehicle in the background and make it a night to remember. If driving yourself to prom is not an option, let our professional drivers and chauffeurs handle the driving while you look your best for pictures and focus on the fun. Having a professional driver is the safest and most convenient option we recommend. Sit back, relax and enjoy your special night, it’s your time to shine! Our rental packages can also include after party drop-offs and chauffeured service back to your home after a great night out. 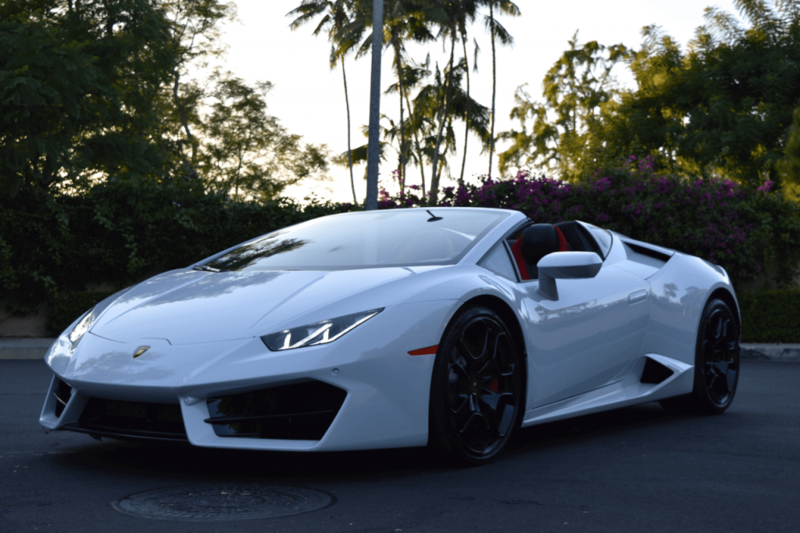 Hourly, daily and overnight rentals are a breeze when you book with 777 Exotics. Let us know what your plans are and we’ll accommodate your needs to give you the Best. Night. Ever. Book early to avoid disappointment! At least a month in advance is recommended. Q) Have your drivers undergone a background check? A) If you are a parent or guardian, then rest assured that all of our professional drivers and chauffeurs have undergone background checks and meet all clearance and health requirements for their profession. Your children will be in safe hands. Q) Can you take pictures? A) Yes, you can take as many pictures with the car and inside the car, outside the venue and any special photo op requests within reason will be accommodated by our driver. Please be sure to inform us while booking if any special requests are included. If the prom itinerary will include several photo ops or a wish for a special photo shoot with the car, consider our special picture car rental rate and booking during daylight hours to capture the car and your children’s outfits in good lighting. A) Yes, you can play music. Create a playlist on CD, mp3 or bring an iPod or phone to plug into the car’s speakers. Q) Will the driver/chauffeur get the door? A) Depending on the vehicle, from 2passengers for a sports car like a Lamborghini or Ferrari, to as many as 4 or 6 for a Hummer or Bentley. A) We usually pick up and drop off based on what was discussed during the booking. If your party requires multiple pick up and drop off points, please mention these in the original booking call so we can provide you with the best quote. Q) What time should I arrive at my prom? A) We suggest arriving 30 minutes after the start time.